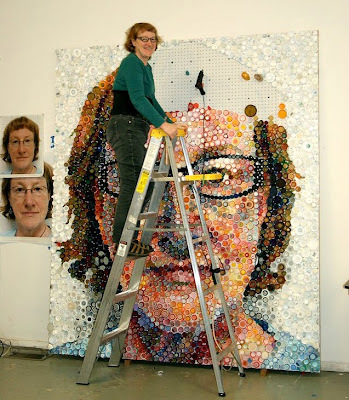 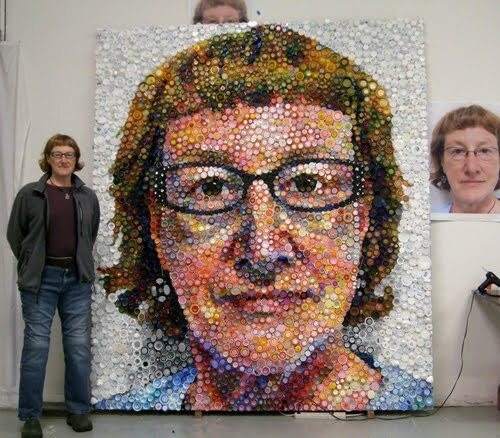 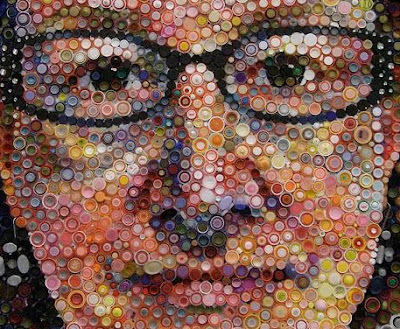 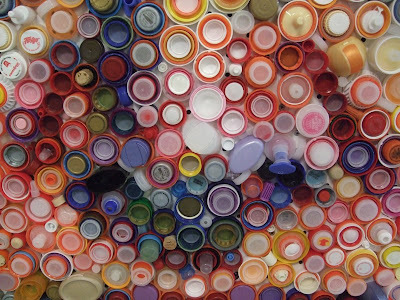 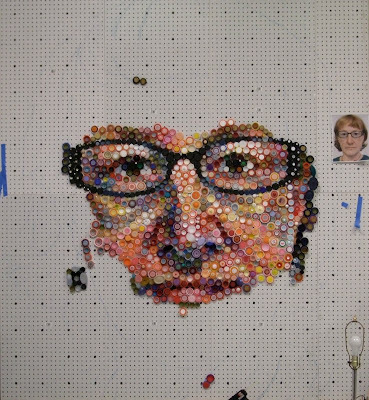 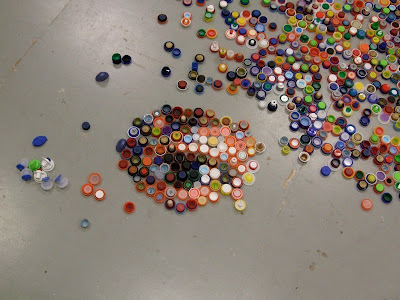 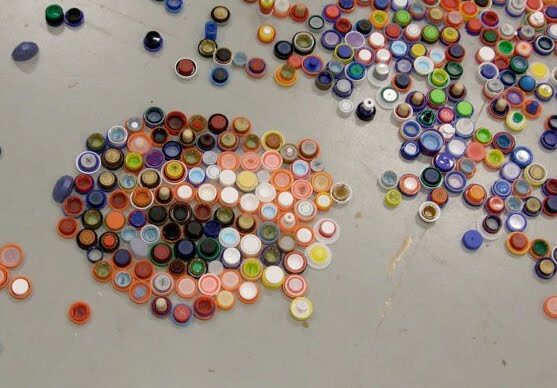 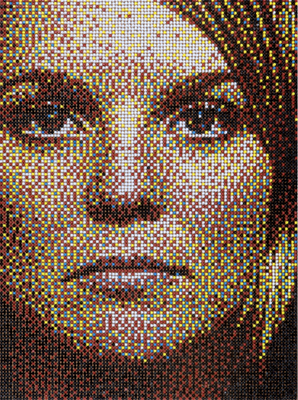 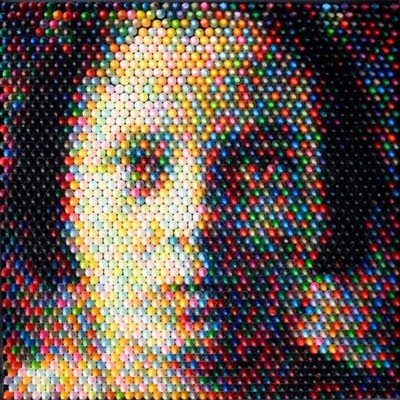 If It's Hip, It's Here (Archives): Mary Ellen Croteau Creates a Self Portrait with Thousands of Plastic Bottle Caps. 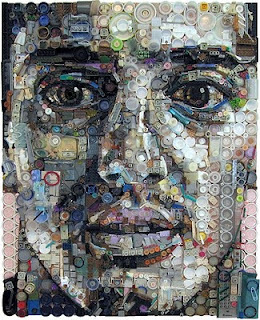 There seem to be an endless number of talented artists creating portraits using assemblages of unexpected items; licorice, junk, toys, pills, pencils, diamonds, pushpins and more. 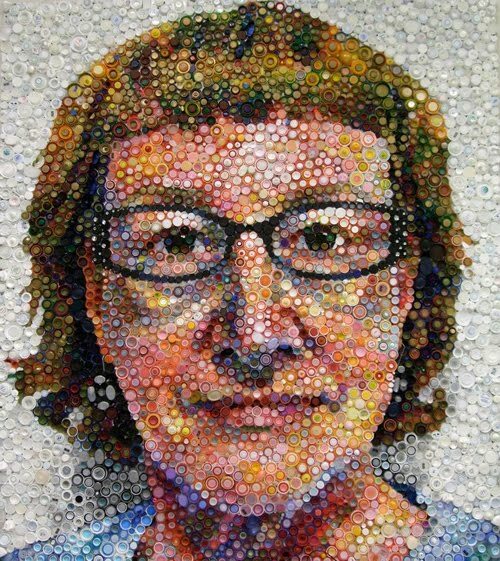 I have already featured nine different artists who create portraits from such items unusual work on this blog and now I'm introducing you to a tenth, Mary Ellen Croteau. 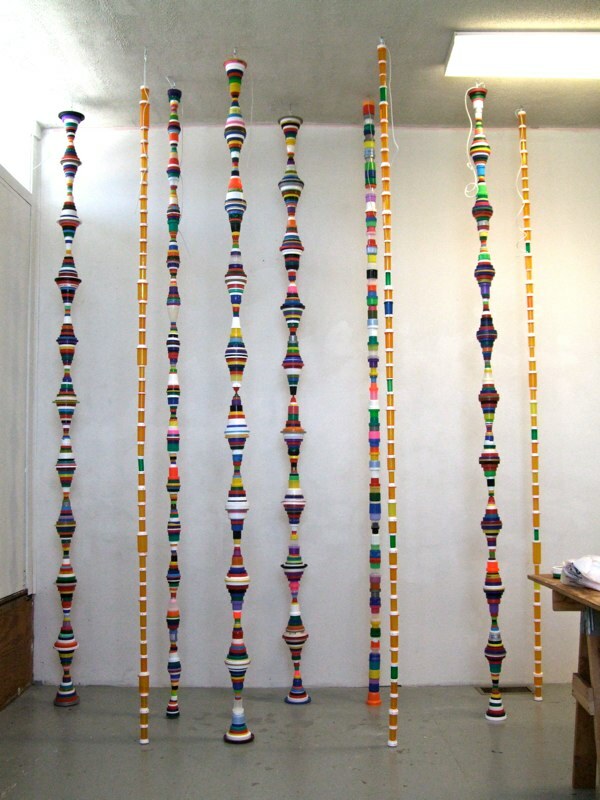 above: Top row. 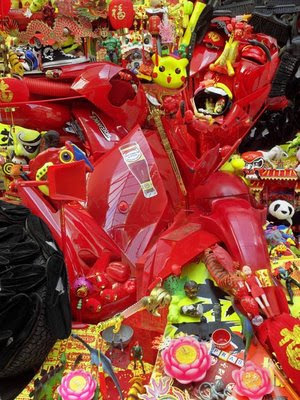 l to r: Bernard Pras' portrait of Bruce Lee, Zac Freeman's portrait of Garrett, Scott Blake's self portrait. 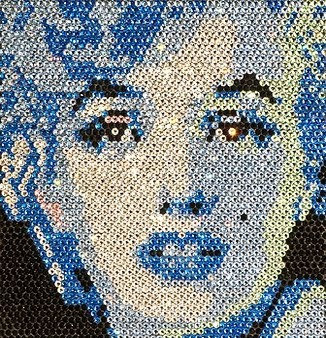 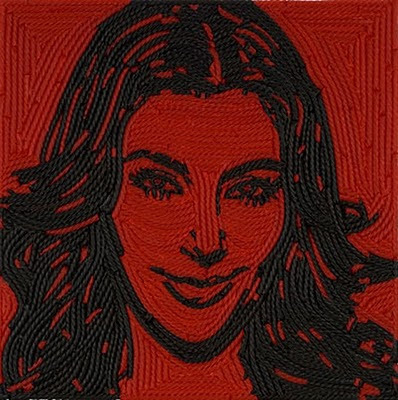 Middle row, l to r: Jason Mercer's portrait of Kim Kardashian made with licorice vines, Christian Faur's portrait made of crayons, a diamond and sapphire gemstone portrait of Marilyn Monroe. 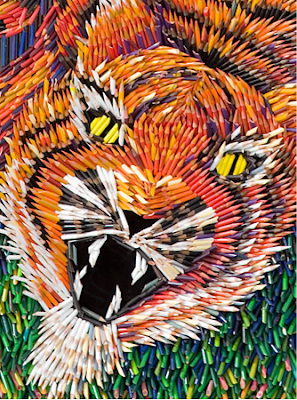 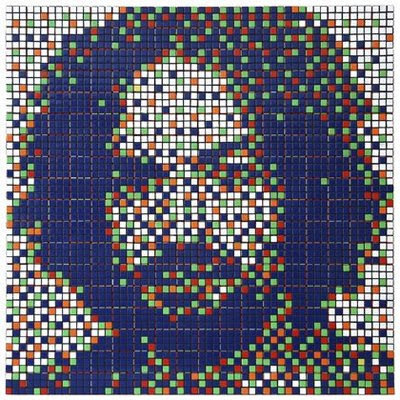 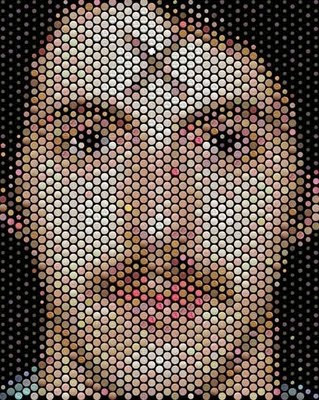 Bottom row, l to r: Federico Uribe's portrait of a tiger made with pencils, Charles Manson made of rubik's cubes, and Eric Daigh's pushpin portrait. 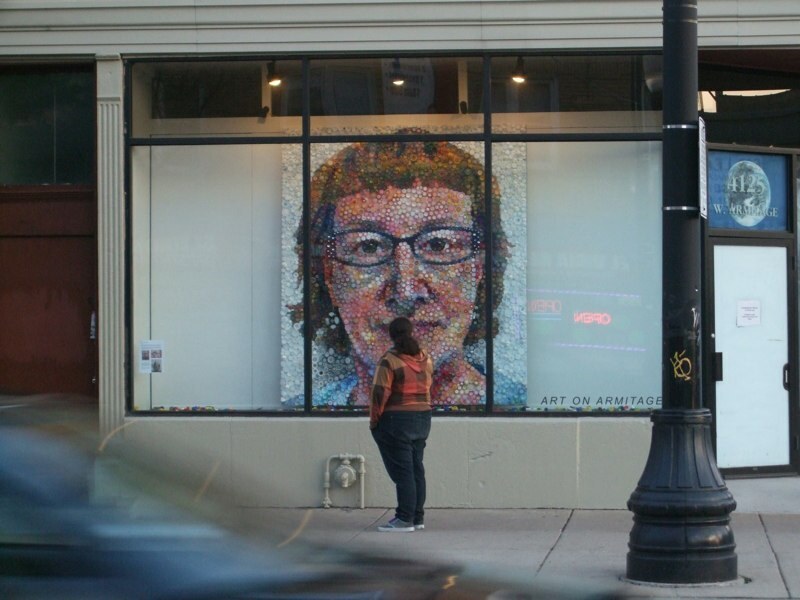 Mary Ellen Croteau is an artist whose work directly addresses the absurdities of social norms, and lays bare the underlying bias and sexist assumptions on which our culture is constructed. 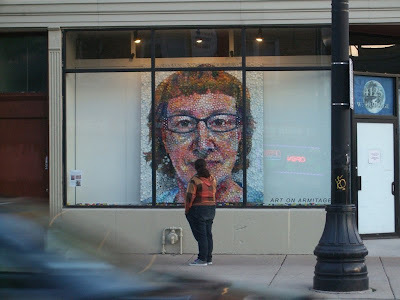 She lives and works in Chicago, IL. 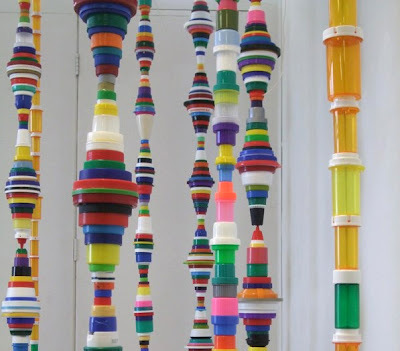 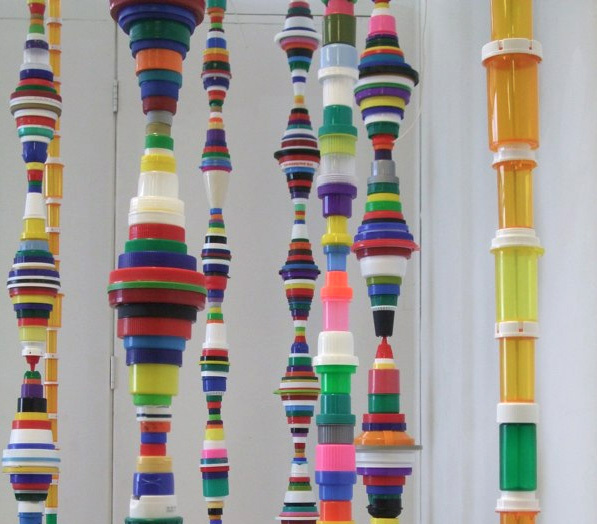 See more of her unusual art here.